Last night, I completed what could be called an unusual site migration. I went from a self-hosted WP install to WP.com. That’s right, my full site is now hosted at my WP.com account. People usually migrate from WP.com to WP self-installs after their site gets big and they decide they want more options, like the ability to run all sorts of ads and fiddle with the code, etc. With me, it was the opposite. I wanted to stop worrying about my web server and focus on publishing my content. As I mentioned here, things got worse after upgrading to WP 2.9. My server kept going down for no reason, and often, too. It’d go down several times a day. I’d have to keep watching it all the time, and that got old real quick, especially when I traveled and had no internet access. I’d often get home to find out my site was down and had been down for several hours, if not more. Since I hadn’t mucked about with my server to make things worse, and had already fiddled with optimized my Apache, MySQL and PHP settings to last me a lifetime, I decided to have WP have a go at hosting my site and let them worry about keeping it going. Judging by the initial results, it looks like they had a bit of trouble with it too (see this, this, this and this), but at least it’s not my headache anymore. I hadn’t been getting full XML transcripts of my site in the past, when I used WP’s WXR Export feature. See this for more, and make sure you’re not in the same boat. The WordPress Import wizard still needs a TON of work to iron out the bugs. You’ll see why below. WordPress.com Support can be terribly unresponsive. I waited over 20 days for a resolution to my ticket about the site migration, and in the end, I had to work things out myself. When I told them as much — and I tried to be as nice as possible about it — it would have been nice to get a small apology, but I didn’t even get that. Granted, my site migration does not represent the usual WP user’s migration path, nor was it a typical migration. By current count, I have 1,552 posts, 4,129 comments and 3,090 media files. That’s quite a bit more than your average blogger, and I think that’s what served to point out the bugs in the Import Wizard. What exactly were the bugs? Here’s where I need to acknowledge the help I did receive from WP Support. My WXR file was over 20 MB. The WXR upload limit at WP.com is 15 MB. WP Support modified the upload limit to allow me to go through with the WXR upload, and they also adjusted the timeout limit, because the migrations timed out prematurely as well. So I thank them for that help. The big problem turned out to be the third issue mentioned above. The Import Wizard didn’t change all the paths to the image files. It turned out to be a very hit-or-miss operation. Given the scale of the operation, I might even call it a disaster. Some posts were fine, some weren’t at all, and some were a hodge-podge of images that were okay, and images whose paths were wrong, or whose links were wrong, or both. You might imagine that checking and fixing the image paths for over 3,000 media files can turn out to be a very big job, and it was. I was also under pressure to finish the job quickly, since the site was live. Imagine how you’d feel as a reader if you visited a website and none of the image files showed up — you’d probably think the site was dead or dying, right? Well, I certainly didn’t want people to think my site was on its last legs, so I had to act quickly. Here are a couple of screenshots that show you how things stood. Here, the image link was okay, which meant I didn’t have to modify it. This was a happy scenario. However, the image path was still wrong, as you’ll see below. The image source, or path, didn’t change during the import process, which meant I had to change it manually, or browse for the image by title or file name in the media library and re-insert it. The image size was also lost, which meant that if I changed the image path manually, I had to also enter the width of the image. What made things more cumbersome was the lack of an image insert button in the Gallery dialog box. That’s one of the differences between a WP self-install and WP.com. This meant that even though I’d uploaded a certain image for a certain post, and it showed on the Gallery tab, I couldn’t go there and re-insert it into a post. I had to go to the Media Library tab, search for it, then re-insert it, which takes precious time and clicks, particularly when you’re dealing with thousands of images. In spite of all the extra work which I had to do, and which took about 1½ weeks of my time, I got done last night. My site is now fully functional, thank goodness! As for my experience with WP Support, there are no hard feelings. 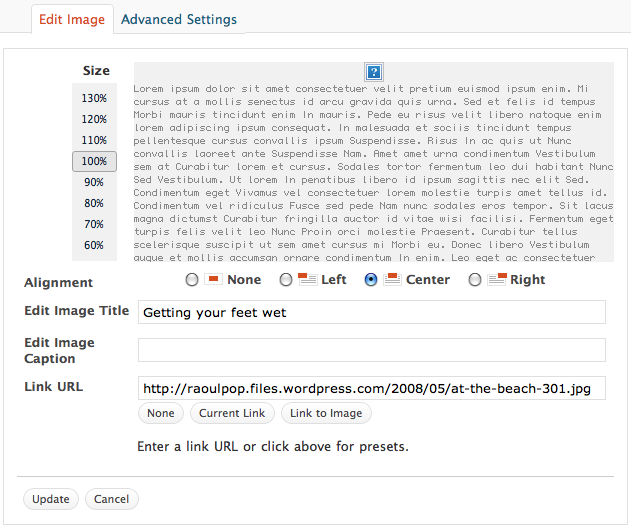 I like the WordPress platform and it’s done good by me so far. I wasn’t a VIP customer and they didn’t have any financial incentives (besides the small fees for a space upgrade and a domain mapping) to get their hands dirty with my code. They offered minimal support, and to a certain degree, that’s to be expected when most of your customers are non-paying customers, as is the case with the large majority of WP bloggers. Improve their Import Wizard so that it will not terminate until it checks and doublechecks to make sure it has imported all the posts, comments, pages, tags, categories and media files, and all the paths to the media files are correct. They’ve still got one of my WXR files, and they can use it as case study to help improve the accuracy of the import wizard. Include an image insert button on the Gallery tab of the “Add an Image” dialog box, like the one that already exists on WP self-installs. 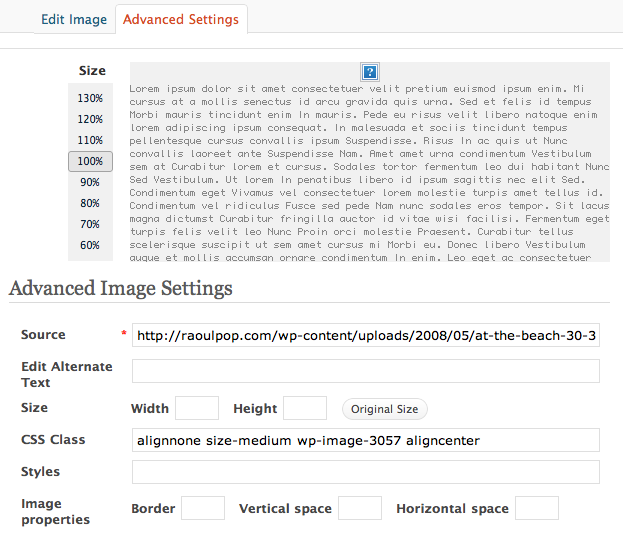 Offer the functionality of the Search & Replace WP plugin for WP.com blogs. This would have been a huge help to me as I fixed the image paths. I could have run a couple of queries on my blog’s content to change most of the image paths, and it would have halved my workload. If you were one of the folks who kept seeing no images during this transition period, sorry for the inconvenience, and I’m glad you’re still around. If you’re still seeing no images, definitely get in touch with me, I might have missed a few — after all, I’m only human. Previous Post Would you like to give life to someone? When I imported from blogspot to self-hosted I ran into a problem: posts with no title (I used to do such a thing?!) got tangled. I fixed that easily enough. Then I imported from LJ to the same blog and cheered … everything looked great. Then I happened to peek Archive, comparing it to LJ calendar, and got a terrible shock. That’s rude. Really, really bad manners. No failure mode should be invisible. I’ve raised the issue a coupla times on -hackers and 1 person took note, but there’s no resolution in sight. p.s. my next step is to check see if there’s some reason posts I, J, and K were dropped while all the rest were imported. Because of media? That’s my immediate hunch. If you’re talking about a self-hosted WP install, make sure the time and memory limits for scripts in php.ini are set high enough for the import to complete. If they’re set at 8 MB or 32 MB and 30 or 60 seconds, that’s not going to be enough. Do a search for php.ini documentation to see where the lines are in the file, and how to safely modify the values. That is awesome, thank you Ryan! It sounds like what I’m heading into myself. I want to migrate a friend’s WP from a hosted site over to the WP.com site. My concerns are about the import aspect, moving all her images, and getting it running with as little head-banging on my part as possible. Your new site looks great. It all depends on how complicated the content is, and how much of it there is. If it’s a relatively small site where she’s only embedded images, it should be fine. If she’s embedded videos and audio, things will get more complicated. But you won’t find out until you give it a go, so sign up for a blog, set it to private, and import away. And make sure you read this as well before you try the import. Thanks! Thanks for the feedback on the migration, and welcome to WordPress.com!